º Must have one year's continuous residency in the communities served by the Foundation. º Proof of Income Required: (1) Front page of most recent tax return, or (2) two most current paystubs, or (3) if you have no reportable income, a letter explaining how you are paying for current living expenses. º Total assets: if total is more than $75,000, services may be denied. º It must first be determined that the patient does indeed have an eye problem that requires treatment and care (excluding eye glasses and contact lenses). A referral from a doctor stating the patient's diagnosis is required. º Lions Eye Foundation does not provide assistance for glasses or contacts. º Make sure the Physicians Referral Form is sent to a member club. If you are not in contact with a member club, go to "MEMBER CLUBS" on this website, find a club listed by community, and send the form to the attention of "Sight Conservation Chair". º Failure to go through a member Lions club will result in considerable delays. º Completion of Physician Referral form, Patient Financial Statement and Patient Release of Information (must be signed by doctor, patient and club representative accordingly). A referral letter from the physician may be used in lieu of doctor signature. º Submitting incomplete forms will result in considerable delays. If in doubt, contact the Lead Trustee in your District for help. º If possible, provide assistance for transportation to and from appointments in San Francisco (BART, train, bus, money for gas, etc) as needed. 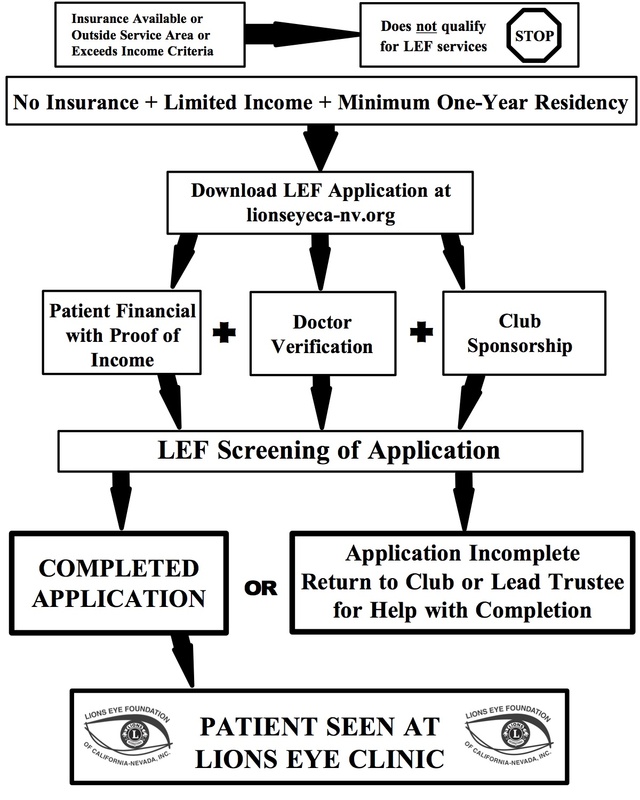 LEF will reimburse clubs a portion of the mileage cost (one-way only) after the appointment has occurred. For Transportation Reimbursement Request form PLEASE CLICK HERE. For Transportation Reimbursement instructions PLEASE CLICK HERE. º If needed, provide glasses after patient has completed treatment/surgery. 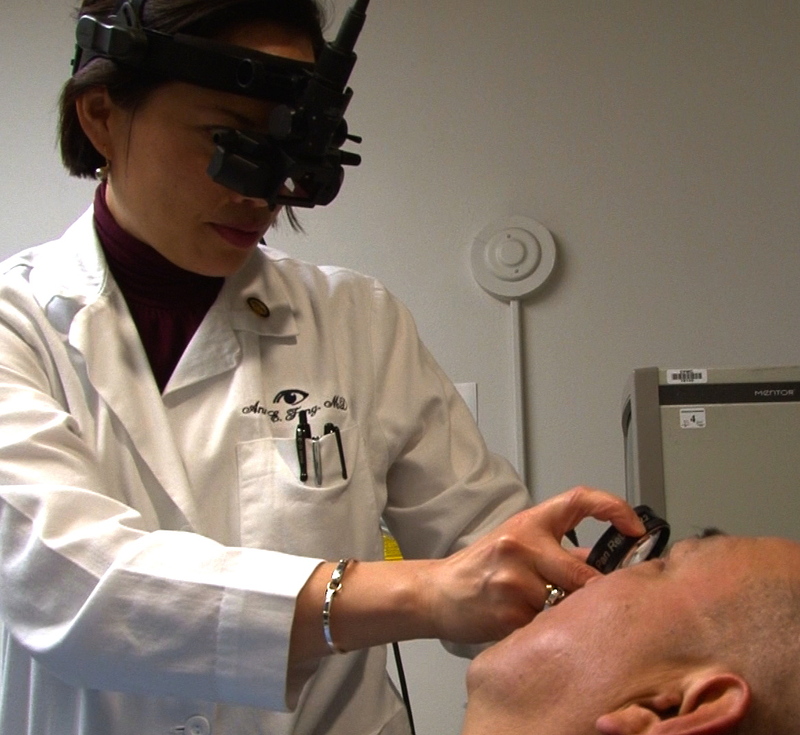 º Call Lions Eye Foundation at (415) 600-3950.
º Emergency cases (retina detachments, foreign objects in eye, etc.) call Mark as soon as possible to expedite referral.